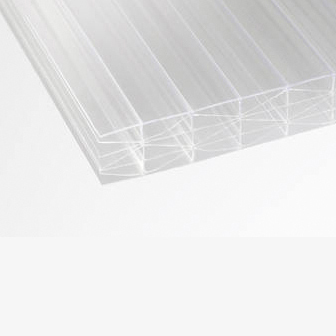 25mm 7Xwall Corotherm is a light weight, impact resistant polycarbonate roofing and glazing sheet. 25mm 7Xwall has a U-value of 1.4W/m²K and is available in clear, bronze, opal, bronze opal and heatguard opal. Available in full sheets and cut to size. It is guaranteed for 10 years.